Ask anyone in sales, or in business: reading sales guides are crucial for continued success and personal development. A good sales guide should leave you feeling motivated and give you plenty of new skills and practices to help you achieve more sales and get more from each day. And that is what The Paragon Mindset has set out to achieve. After the success of Robert’s first sales guide, Relationship Selling, The Paragon Mindset promises to be one of the best sales guides published in 2018. 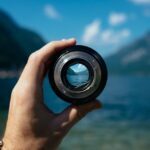 Filled with stories, skills, best practices, motivation and selling techniques, this sales guide is guaranteed to help you achieve more sales. The launch date of The Paragon Mindset is still to be announced however it will be published later on in 2018 in both paperback format and Kindle format. The book will be available to buy from Amazon and directly from Paragon Sales Solutions. 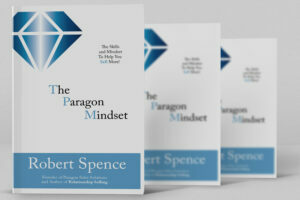 The publishing date for The Paragon Mindset will be announced shortly. If you are a fan of sales guides, be sure to keep your eyes on this one. It could be the only sales guide you need in 2018.